" This park is managed and built by the government for its citizens. We'll rearrange to make it more comfortable"
"This park is managed and built by the government for its citizens. We'll rearrange to make it more comfortable," he expressed, Thursday (1/3). "We get positive feedback about them calling it as Lalu Lintas Park, but actually everything is one unit of Tebet Park," he uttered. 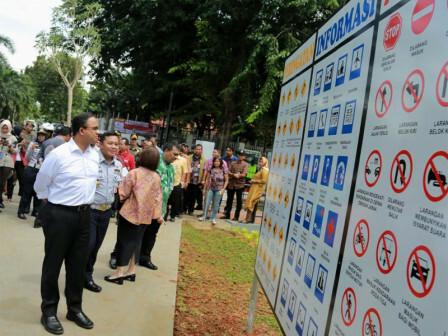 "Tebet Park will be a pilot. Insya Allah (God willing), we'll arrange the park for our people as soon as possible," he said.